Hello!!! Can you explain please how can I add this libraries into Arduino 1.6.7, just trying to make the variometer project but I just stuck on this step. 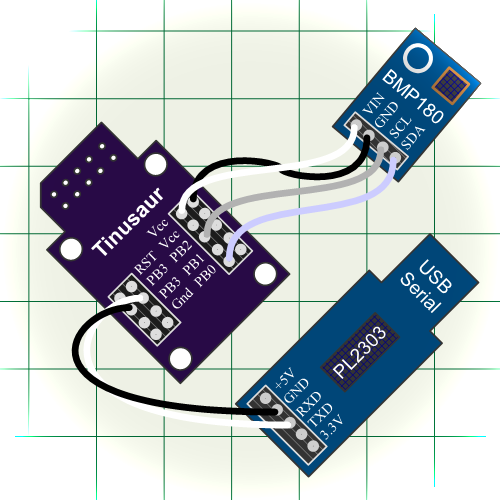 I just made downloaded the bmp180tiny and usitiwix, but can´t find a way to put into my IDE. And last ask you to share the source code for the vario, if isn’t to much! Thanks a lot!! I’m glad to see you’re interested in our projects. I don’t know how to add libraries to the new Arduino IDE, e.g. 1.6+ – I have not tried it yet. … that may be helpful.